Teach Your Monster to Read is the BAFTA-nominated series of games that helps millions of kids learn to read around the world. Here’s a little more about who funds the game, and the team behind it. Who funds Teach Your Monster to Read? 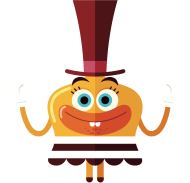 Teach Your Monster to Read is funded by the Usborne Foundation, a charity set up by Peter Usborne and his children, Nicola and Martin, to support initiatives to develop early literacy. Peter Usborne is the founder and MD of Usborne Publishing, one of the world’s leading children’s book publishing companies and Children’s Publisher of the Year 2012. He is one of the founders of Private Eye magazine and has been awarded an MBE for services to publishing. Nicola Usborne worked as a Vice President for Scholastic Inc in New York, developing educational and consumer games (including the New York Times bestselling transmedia series “The 39 clues”). Nicola is a BAFTA-winning film producer and Deputy MD of Usborne Publishing, working alongside Peter. Martin Usborne is a photographer, publisher and writer. Martin has researched gaming extensively for TV programme development. Antonio has over 20 years experience in creating digital content. He specialises in education and gaming. He’s worked on digital education projects for a wide range of organisations and companies including the BBC, Channel 4, The Open University and Nickelodeon. 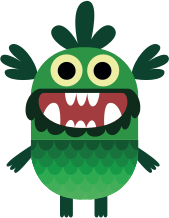 Jon and Berbank are the game designers and developers of all of our Teach Your Monster to Read games. They are leading UK games designers with decades of combined experience. They’ve worked on award-winning and bestselling titles such as Runescape; Sims 2 (mobile); Final Fantasy: Dirge of Cerberus; Need for Speed and the Creatures series. Alison is Principal Lecturer in English Education at the University of Roehampton, London, teaching all aspects of literacy with expertise in the effective teaching of systematic synthetic phonics. Angela is Senior Lecturer in English Education at the University of Roehampton, London with particular expertise in using digital games to develop children’s literacy. Rich and Chris are responsible for making the games look beautiful! Simon is an actor, writer and comedian. He has been a principal cast member in BBC Horrible Histories, Yonderland, The Mighty Boosh and in the BBC sitcom Detectorists. He has also written and starred in films including Mindhorn and Paddington 2. Alex is responsible for the commercial, marketing and product management of the games. He wears many hats! Helen is responsible for planning and executing several of our projects. Helen heads up the production of our latest game, which gets children reading for pleasure. Harvey takes care of the quality control of our games and website. He tests all iterations of our games to ensure they’re ready to be played by the public. Stefan helps teachers, parents and children play our games. He runs the user support and creates helpful content. Want to find out more about the games?